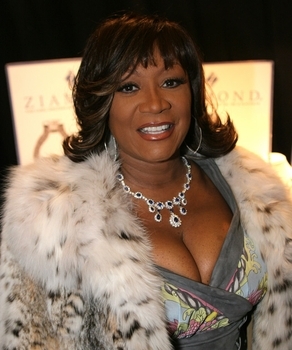 Patti Labelle wears it beautifully! The Ziamond Cubic Zirconia CZ and 14k gold Biltmore Necklace (item N1030) http://www.ziamond.com/bine.html is pure luxury at its finest with approximately 81 carats in total carat weight. A true estate piece featuring a dazzling brilliance with its magnificent display of various sized round, pear and 1 carat each oval basket set Ziamonds. The length measures 16 inches with a center drop measuring over 2 inches in length and almost an inch in width, secured with a single safety clasp. A Biltmore Bracelet and Biltmore Earrings are available to complete the set. Available in various color oval center stone and pear drop options.